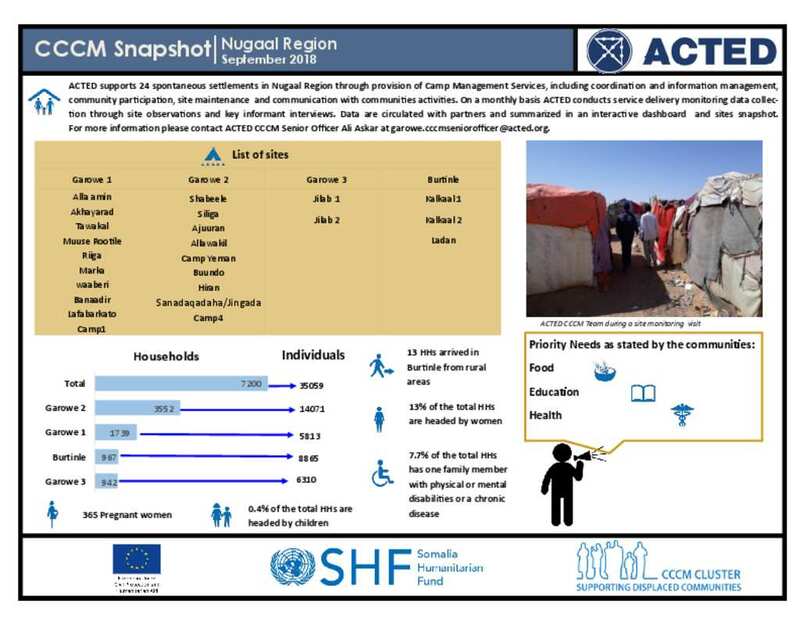 Coordinated by the CCCM Cluster, ACTED supports 24 spontaneous settlements in Nugaal Region through provision of Camp Management Services, including coordinati on and information management, community participation, site maintenance and communication with communities activities. On a monthly basis ACTED conducts service delivery monitoring data collection through site observations and key informant interviews. Data are circulated with partners and summarized in an interacti ve dashboard and sites snapshot.